"Fancy a day in Kent?" asked emminlondon. A break from Brexit, politicians, imploding political parties and to top it off clean air! I leapt at the opportunity. In less than an hour the woes of London were far behind me, even unreliable Southern Rail behaved and the train actually turned up and kept to schedule. 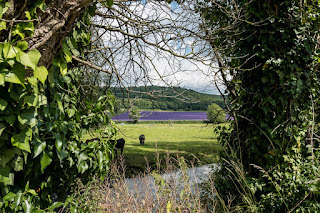 It was a glorious day as we drove through the lovely countryside and passed through quaint English villages until we reached the lavender farm. Wow. Our timing was perfect, it is just a week or two away from harvest so the fields were looking their picture postcard best. In Victorian times this part of Kent was renown for growing hops. As recently as the 1950's and 60's working class families from London would spend their annual holidays picking the hops which would then be transported to London to be traded at the Hop Exchange. Times change and for the family farm to remain viable they needed to diversify. Beef, apples, dried flowers and honey are among the new products, but the biggest crop is lavender covering 85 acres making it the largest lavender farm in the UK. To get a closer look at the fields and learn about the behind the scenes workings of the farm we took the one and half hour tour. 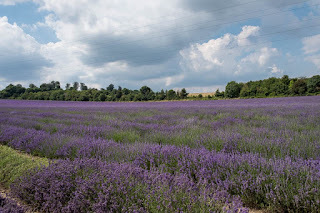 Starting in a magnificent field of lavendin with a flower stem in hand gently squeeze the flower bud to get the full nest of the scent, then off to an equally grand field of lavender to learn the difference between the two. Well what is the difference you ask? A rather big one actually. 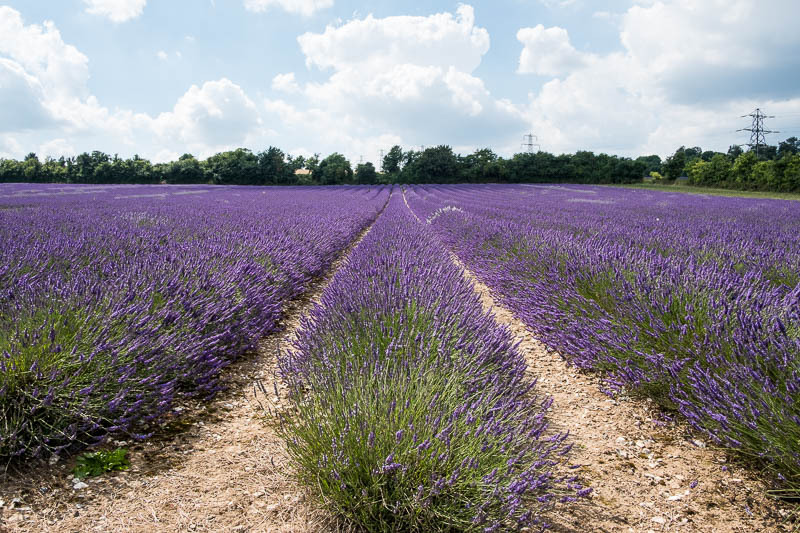 Lavender is what we traditionally know, what our grannies put in the underwear draw, the little sachets under the pillow to help you sleep. Yes it is a relaxant. Lavendin on the other hand does the exact opposite, it is a stimulant and has a much stronger camphor smell. Then it was off to the distillery to learn how the oil is extracted and the various products that are made. Oils, balms and essences. Medical uses and culinary uses. Who knew that lavender was such a versatile crop. Then it was a quick exit through the gift shop and off to explore more of the countryside, but that's for another post. These are such gorgeous shots. I especially like the middle one with that blast of lavender color peeking through the trees. I have a lot of lavender sachets that I put in drawers with my sweaters to keep the moths away. I am pleased you shared this. The lavender fields are beautiful. I can image the aroma when you are near them. For those trapped in London's grime this must have been delightful! Lots of that round here. Super smell when brushing against wet lavender plants I found when delivering. Oh, how I like these fields ! Wonderful, Mo! Three excellent images and an interesting description of your travels and what you learned. But, you left Ted behind? There is so much crap to leave behind . . .